An off-duty police officer detained a care assistant caught driving while more than three times the legal alcohol limit. 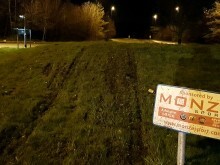 Simon Lau was witnessed driving a red Renault Clio erratically on the A259 Goring Way about 9.15pm on 29 December. He was followed at a safe distance by the officer, who then saw him mount a kerb, causing a tyre to burst, before coming to a stop in nearby Mulberry Lane. When asked if he had consumed any alcohol, Lau replied “no”. 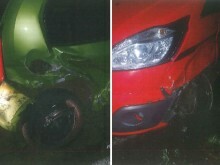 However, after failing a roadside breath test, he was found to be more than three times the drink-drive limit. He also had no insurance. 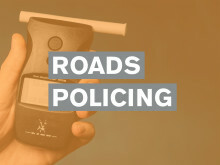 The 41-year-old, of Squadron Drive, Durrington, was subsequently charged with driving with 106mcg of alcohol per 100ml of breath in his system and driving with no insurance. The legal limit is 35mcg. At Worthing Magistrates’ Court on 15 January, he was disqualified from driving for 24 months and sentenced to a 12-month community order, requiring him to carry out 120 hours of unpaid work. He was also ordered to pay £85 costs and a £85 victim surcharge. The off-duty officer, who does not wish to be named, was a passenger in a car when he spotted the Clio. He said: “My wife was shocked, as she’s never witnessed that sort of driving before. The manner he was driving in, he could easily have killed himself or someone else. Lau was arrested as part of Surrey and Sussex Police’s Christmas crackdown on drink and drug-drivers, which ran from 1 December 2018 to 1 January 2019. Gary St John, 44, a party organiser, of Varcoe Gardens, Hayes, Hillingdon, was arrested in Madeira Drive, Brighton, on 9 December and charged with driving with 77mcg of alcohol per 100ml of breath in his system. At Brighton Magistrates’ Court on 17 January, he was disqualified from driving for 18 months. He was also ordered to pay a £120 fine, £85 costs and a £30 victim surcharge. Jason Hibbert, 31, a sales assistant, of West View, Seaford, was arrested in Marine Parade, Seaford, on 13 December and charged with driving with 77mcg of alcohol per 100ml of breath in his system. At Hastings Magistrates’ Court on 16 January, he was disqualified from driving for 18 months. He was also ordered to pay a £450 fine, £85 costs and a £45 victim surcharge. Radu Matei, 24, a waiter, of Castlerigg Way, Crawley, was arrested in Worth Park Avenue, Crawley, on 13 December and charged with driving with 107mcg of alcohol per 100ml of breath in his system. At Crawley Magistrates’ Court on 17 January, he was disqualified from driving for 24 months and sentenced to a 12-month community order, requiring him to carry out 100 hours of unpaid work. He was also ordered to pay £85 costs and a £85 victim surcharge. Robert Evenden, 20, a mechanic, of Peppering Eye, Battle, was arrested in Old Harrow Road, St Leonards, on 14 December and charged with driving with 83mcg of alcohol per 100ml of breath in his system. At Hastings Magistrates’ Court on 16 January, he was disqualified from driving for 22 months. He was also ordered to pay a £120 fine, £85 costs and a £30 victim surcharge. Nicole Williams, 53, a sales director, of Norman Road, St Leonards, was arrested in Norman Road, St Leonards, on 16 December and charged with driving with 92mcg of alcohol per 100ml of breath in her system. At Hastings Magistrates’ Court on 16 January, she was disqualified from driving for 20 months. She was also ordered to pay a £250 fine, £85 costs and a £30 victim surcharge. Connor Watkinson, 20, unemployed, of Highdown, Southwick, was arrested in High Street, Rottingdean, on 28 December and charged with driving with 41mcg of alcohol per 100ml of breath in his system. At Brighton Magistrates’ Court on 17 January, he was disqualified from driving for 12 months. He was also ordered to pay a £80 fine, £85 costs and a £30 victim surcharge. Peter Takacs, 38, a chef, of Clarke Avenue, Hove, was arrested in Surrenden Road, Brighton, on 29 December and charged with driving with 63mcg of alcohol per 100ml of breath in his system. At Brighton Magistrates’ Court on 17 January, he was disqualified from driving for 36 months and sentenced to a 12 month community order, requiring him to carry out 60 hours of unpaid work. He was also ordered to pay £115 costs and a £85 victim surcharge. Raymond Weston, 38, a groundsman, of Manor Place, Bognor Regis, was arrested in Hawthorn Road, Bognor Regis, on 29 December and charged with driving with 56mcg of alcohol per 100ml of breath in his system. Matthew Sinden, 18, unemployed, of Limbrick Close, Goring, was arrested in Tarring Road, Worthing, on 30 December and charged with driving with 56mcg of alcohol per 100ml of breath in his system. 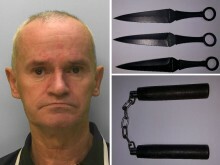 At Worthing Magistrates’ Court on 15 January, he was disqualified from driving for 12 months. He was also ordered to pay a £80 fine, £85 costs and a £30 victim surcharge. Jack McInnes, 23, a bricklayer, of Hop Garden, Uckfield, was arrested on the Maresfield bypass on 30 December and charged with driving with 89mcg of alcohol per 100ml of breath in his system. At Brighton Magistrates’ Court on 17 January, he was disqualified from driving for 22 months. He was also ordered to pay a £450 fine, £85 costs and a £45 victim surcharge. Roger Nessling, 40, a handyman, of Ferry Drive, Chichester, was arrested in Cathedral Way, Chichester, on 31 December and charged with driving with 57mcg of alcohol per 100ml of breath in his system. At Worthing Magistrates’ Court on 15 January, he was disqualified from driving for 16 months. He was also ordered to pay a £230 fine, £85 costs and a £30 victim surcharge. Aaron White, 24, a roofer, of Nuxley Road, Eastbourne, was arrested in Turners Hill Road, East Grinstead, on 31 December, and charged with driving with 68mcg of alcohol per 100ml of breath in his system and possession of cannabis. At Crawley Magistrates’ Court on 16 January, he was disqualified from driving for 36 months. He was also ordered to pay a £300 fine, £85 costs and a £30 victim surcharge. The cannabis was seized and destroyed. Ciro Conte, 34, a restauranteur, of Kirkdale, London, was arrested in London Road, Brighton, on 1 January and charged with driving with 71mcg of alcohol per 100ml of breath in his system. At Brighton Magistrates’ Court on 17 January, he was disqualified from driving for 18 months. He was also ordered to pay a £168 fine, £85 costs and a £30 victim surcharge. 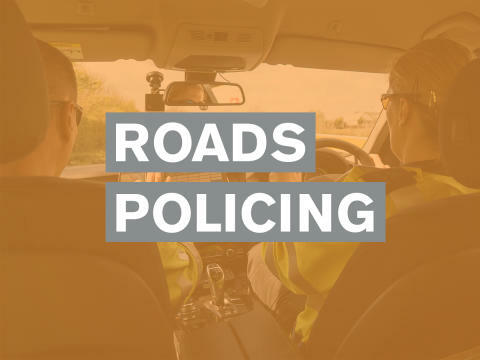 Andrea Doddimeade, 60, a shop worker, of High Street, Teversham, Cambridgeshire, was arrested on the M23 at Gatwick on 1 January and charged with driving with 107mcg of alcohol per 100ml of breath in her system. At Crawley Magistrates’ Court on 17 January, she was disqualified from driving for 24 months and sentenced to a 12-month community order, requiring her to carry out 100 hours of unpaid work. She was also ordered to pay £85 costs and a £85 victim surcharge.